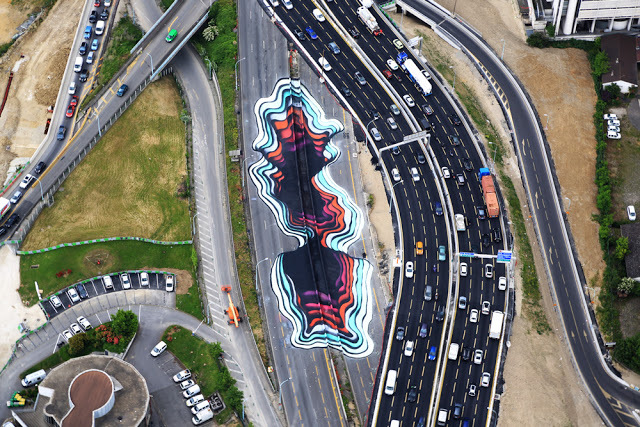 Giant Optical Illusion Painted on Parisian Highway « Adafruit Industries – Makers, hackers, artists, designers and engineers! Incredible work from artist 1010 in Paris! 1010 is currently in Paris, France where he spent the last week working on a giant piece along the Parisian highway. Geared with 400 liters of paint, it took about seven days for the German artist to paint this 4500 square meters artwork. Mind-boggling!